We produce successful digital strategies with our clients to make sure they're given the competitive edge in their field. A full digital strategy uses multiple channels to drive the success of your website. With a strong history of building, implementing and managing digital strategies we're able to construct a tailored solution to achieve your online goals. In addition to strategy creation & campaign management, we use best practice SEO methods, along with utilising PPC, email marketing and social media to give our clients the competitive edge over their competitors. 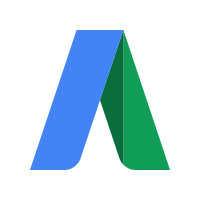 Wish Digital are proud to be a Google certified Adwords and Analytics expert. Whilst our expertise in Google marketing (we are Google Partners), SEO, Adwords and Analytics is essential, we also ensure we are digital experts on all other major platforms that can benefit our client’s businesses, from other search engines, to social networks, video sharing platforms and email marketing. Our team have it all and can prepare digital marketing campaigns that will achieve your desired results. Organic search (SEO) success is the ultimate digital marketing goal. There are many methods to drive organic search visibility and they need to be ethical, effective and have longevity. Luckily, we’re good at ticking all these boxes. With the right adverts and the right search term selection your website can gain website traffic from potential customers. Wish are an experienced PPC Agency who can refine your strategy and maximise your budgets, or create new campaigns targeting the right people at the right time. Ignore the social phenomenon at your peril. Social media platforms are here to stay and the possibilities for businesses come in many forms. Our expertise ensures that your positioning is correct and time is invested in the most effective areas. Email marketing is a hugely powerful method to keep in touch with your existing database, whilst gaining repeat business can be more cost effective. We prepare the right messages, analyse the results and continually improve email ROI.